Our kitchen staff, led by the head chef Günter Schager, use only selected regional products. This means that the majority of ingredients are sourced from local agriculture, guaranteeing absolute freshness and the highest quality. Your creature comforts are also well taken care of here. Whether from the set menu or à la carte, we always offer our guests seasonal and lovingly prepared meals. You can also find the perfect wine to complement your choice on our well stocked drinks menu. Here is a short glance of our standard menu. This is added to daily with our specials. In our most recent weekly menu you will find very special delicacies! Kitchen: open continuously from 11:30 a.m. to 9:30 p.m. 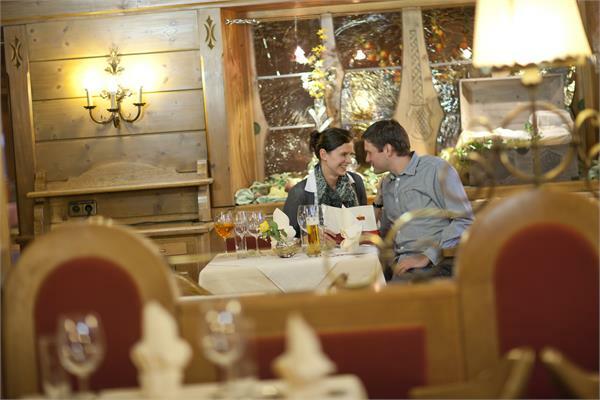 There are two different carefully decorated and covered areas in a rustic Salzburg style available for your visit to the Untersberg restaurant. In summer, enjoy our stunning, shaded terrace with a view of the Untersberg mountain. 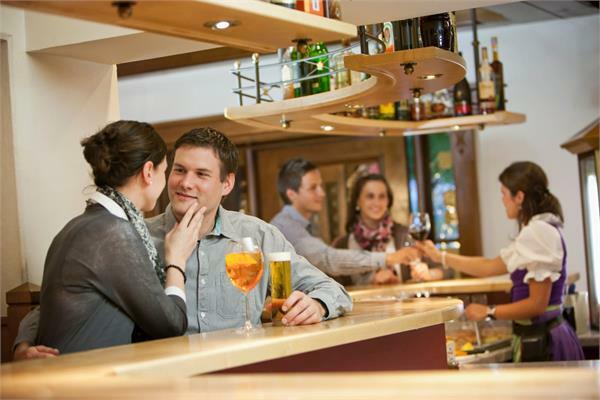 Our relaxed bar completes our gastronomic offer. Our restaurant is the ideal setting for your family or company celebrations. Whether it’s a wedding, christening, birthday, business dinner or Christmas party – you will be in good hands with us! 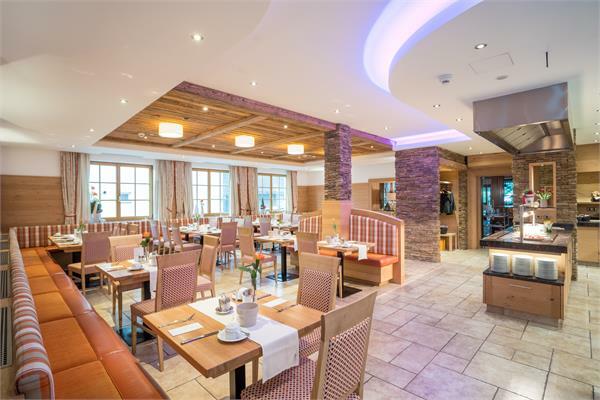 The Untersberg restaurant is the place where business people, locals, holiday-makers and athletes meet. Our rustic bistro is at the front of our restaurant and has space for 50 people. Our restaurant was remodelled in 2015. Welcoming old wood ceilings and other natural materials create a truly cosy room, which has space for 100 people. Our inviting, shaded beer garden with a view of the Untersberg mountain is one of our highlights. After a good meal, enjoy one or two drinks at our bar.